This photo was taken up north on the British Columbia West Coast off the back of a fishing boat. The Majestic Beauty of these creatures was shown to us first hand while fishing one day. 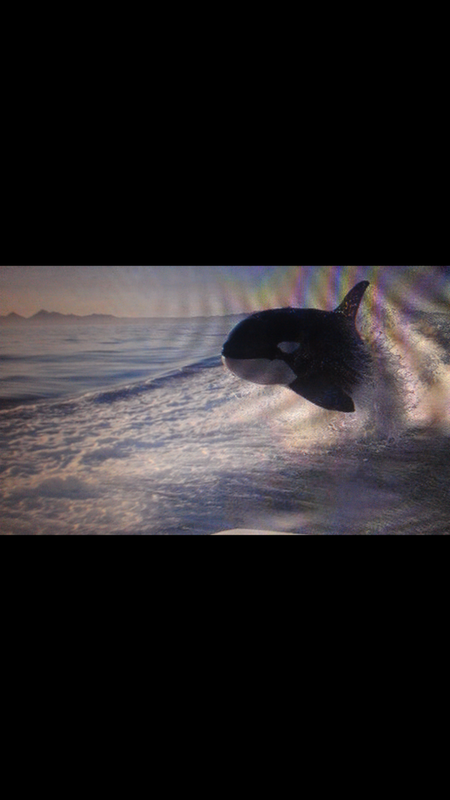 A killer whale decided to have some fun in our wake while salmon fishing. Vancouver is my hometown and I now live in Arizona and I sure do miss the ocean and all the wondrous beauty it has to offer. This is a great contest and good luck to all the entrants who call Canada home and it's still owns part of our hearts but live abroad.